A man is accused of firing gunshots into a vehicle in Vero Beach, Florida. VERO BEACH – A six-time convicted felon in Vero Beach is in jail on a $1.1 million bond after firing multiple gunshots into a vehicle, according to the Indian River County Sheriff’s Office. Richard Earl Peterson, 23, of Vero Beach, was charged with two counts attempted felony murder, battery domestic violence, and possession of a firearm by a convicted felon. On Tuesday at approximately 9:00 am, deputies received a call about shots being fired at a vehicle. The victim told law enforcement that she knew Peterson and that the incident occurred in Gifford. The victim and the passenger of the vehicle said they saw Peterson walking on 27th Avenue. She then saw an Indian River County patrol car and told the deputy that Peterson had warrants. However, the deputy drove in the wrong direction. Several minutes later, the victim and passenger decided to drive near the location again and spotted Peterson walking near an apartment complex on the same road. “When she got close to him, he took a step back and placed his hand in his pocket. She knew he was grabbing a gun; therefore, she sped up,” the deputy said. The victim said Peterson then “pulled a black semi-automatic gun out of his pocket, aimed it at her and fired it multiple times while he was directly next to her car,” the affidavit said. The victim stated that he shot about four or five times before running into an apartment. Deputies then found Peterson at the apartment and questioned him about the incident. “He was walking on 27th Avenue, and he saw a car driven by a girl he has been ‘beefing’ with coming towards him. He said the vehicle was driving erratically, but he knew it was not going to hit him,” the deputy said. Peterson denied owning a firearm and shooting at the victim, according to the affidavit. Deputies then searched the apartment and found a handgun similar to the one described by the victim. The firearm was missing four rounds. The rounds still in the magazine match the shell casings located at the scene of the shooting. On the way to jail, the deputy said to Peterson “shooting at that car was a big mistake man. With your history.” Peterson responded saying, “It was. Yeah, I know. And the thing about it is because it’s less than like 3 years, I’m facing a life sentence,” the affidavit said. 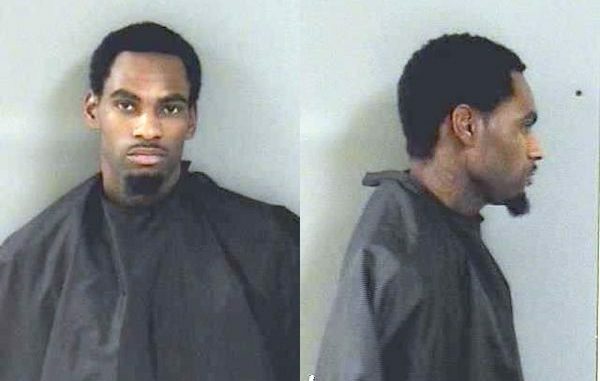 Peterson is being held at the Indian River County Jail on $1,105,000.00 bond.